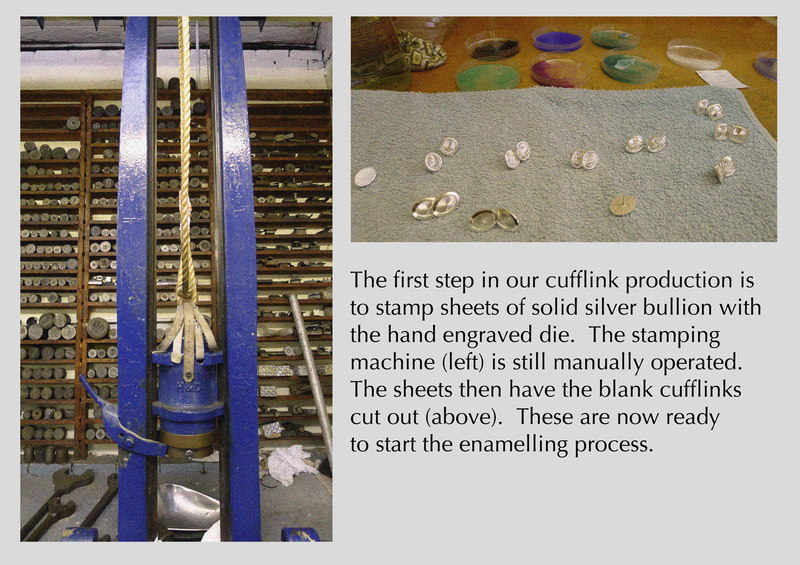 Recently I visited our cufflink makers in the historic Jewellery Quarter of Birmingham. 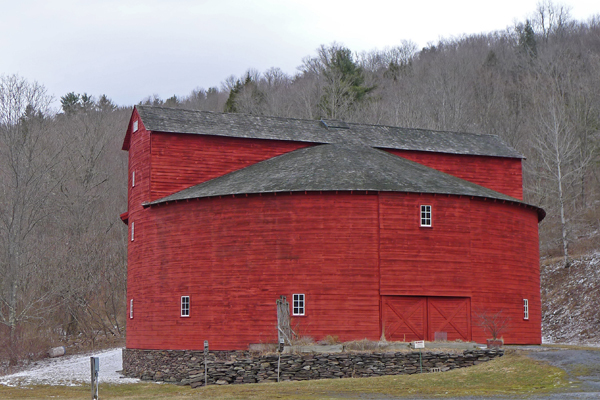 They are a family run business that have been operating since 1684. 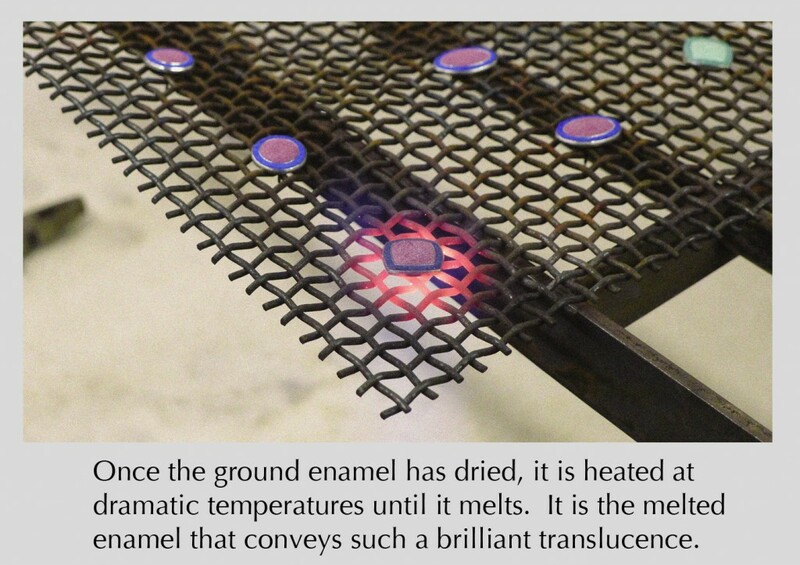 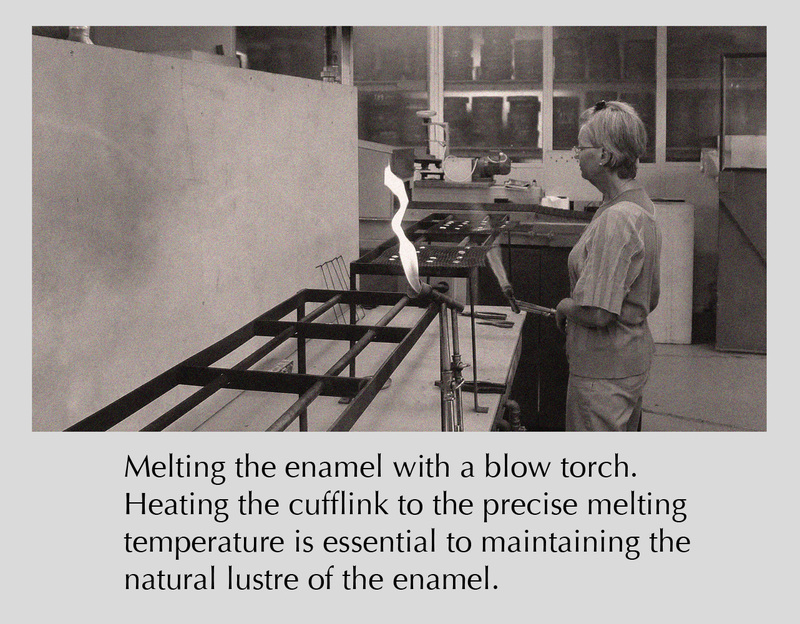 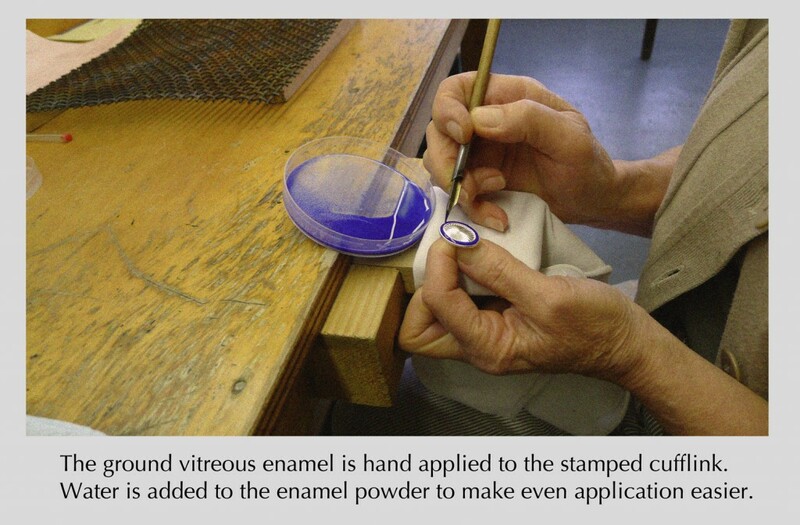 They specialise in making cufflinks with hand-applied vitreous enamel. 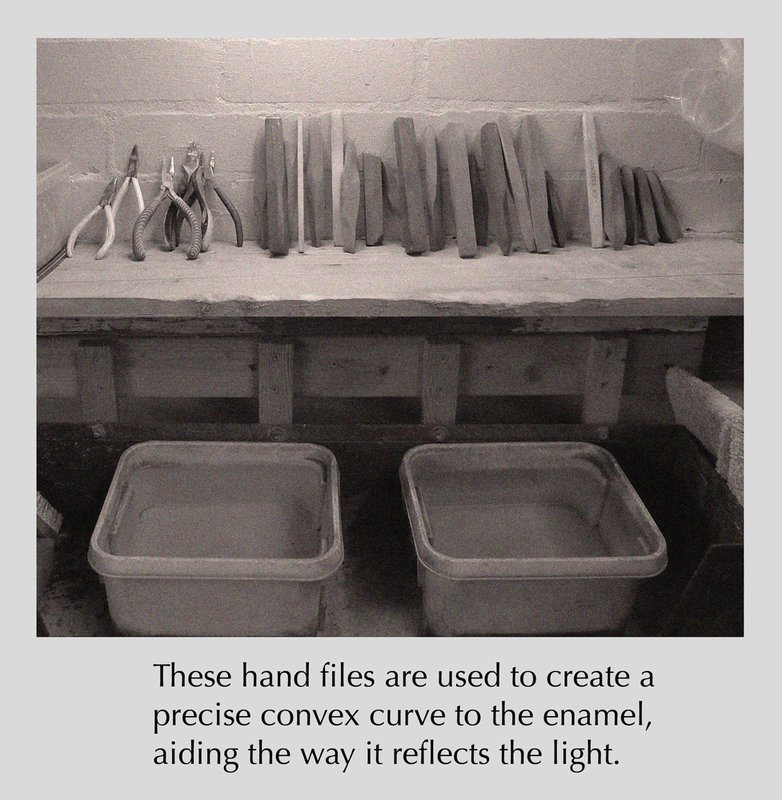 The following photos detail, step-by-step, the processes which all of our cufflinks go through. 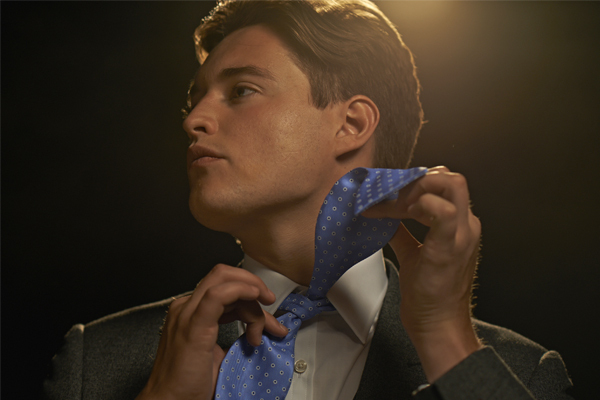 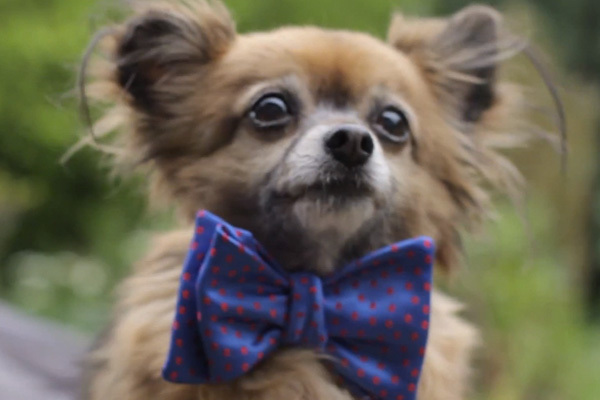 Sign up to our newsletter for updates from the Augustus Hare Journal, product releases and news.